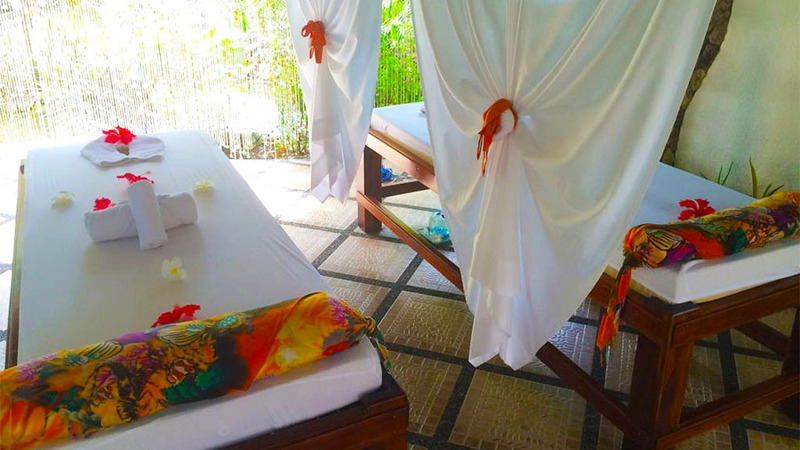 The five-star Dolphin-House Resort-SPA-Diving epitomizes the best tropical island vacation. It has the advantage of being surrounded by white sandy beaches and sparkling sea waters. 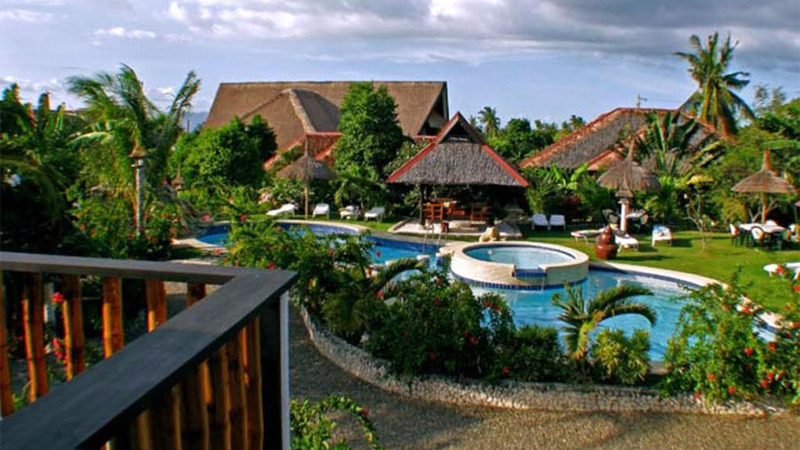 The Resort is just 68 km from the Tagbilaran Airport and 70 km from the Sibulan Airport. The rooms, suites and bungalows are aesthetically decorated and have all the in-room amenities that discerning guests will appreciate. The five-star Dolphin-House Resort-SPA-Diving is a beautiful tropical beachside resort that has aesthetic design and comfortable rooms. Guests can enjoy a lot of amenities like airport transfers, 24×7 housekeeping, room service, games room, coffee shop, in-house restaurants, bar, and more. The restaurants serve International cuisine to cater to different tastes. For those who like to experiment, the Resort also have a wide spread of local delicacies that are worth trying. There is free Wi-Fi access in all the rooms through the reception. Standard room, Deluxe Bungalow, and Suite Bungalow are the three types of accommodation available at the Dolphin-House Resort-SPA-Diving. The rooms are large and fitted with all the necessary amenities to make the experience of guests a pleasant one. They include coffee-tea maker, mini bar, refrigerator, air-conditioning and more. The housekeeping, in-room dining, and laundry services are available on demand. The swimming pool is the most popular sunbathing spot in the Resort. Being an upscale accommodation with many more amenities than other resorts in the region, the tariffs range between $115 and $165. The guests at the Dolphin-House Resort-SPA-Diving offers cool cocktails and sunbath near the poolside. 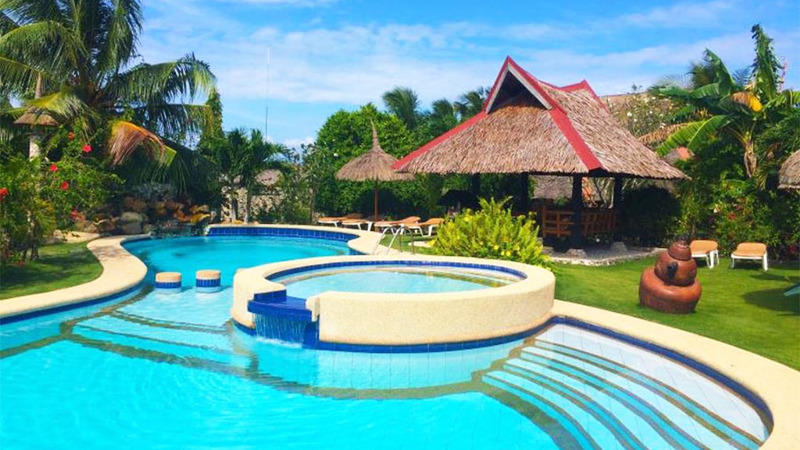 For those who wish to experience sporting activities, the resort arranges for professional diving instructors to teach guests canoeing, snorkeling, and deep sea diving. 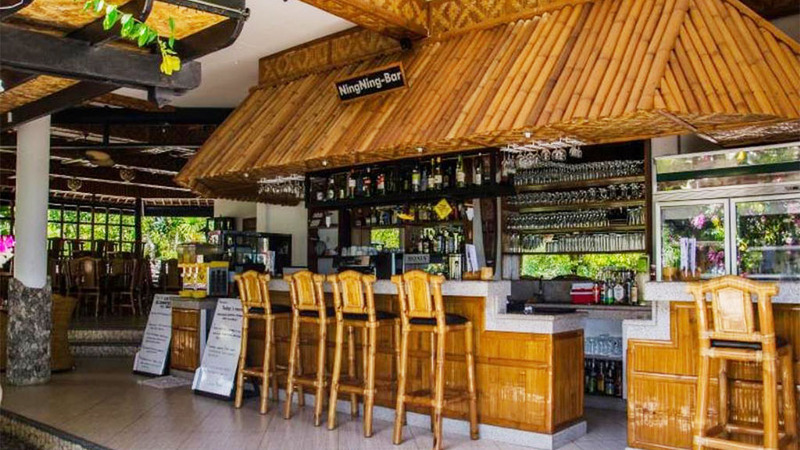 The Resort provides amenities like air-conditioning, massage spa, housekeeping, laundry service, currency exchange, safety deposit boxes, coffee-tea makers, mini bar, indoor games room, coffee shop, closets, bathrobes, souvenir shop, baggage storage, library, free Wi-Fi access, and more. Babysitting services are available. For those who like indoor sports, there is a well-equipped games room where one can play table tennis, billiards, and other games. 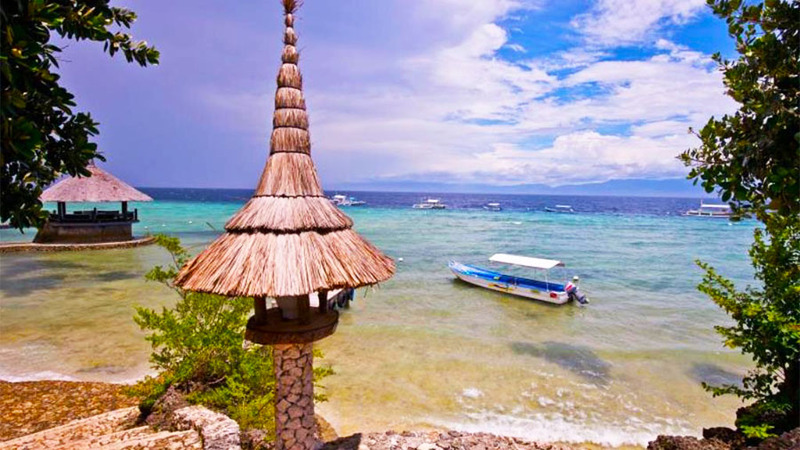 Deep sea diving (scuba diving), snorkeling, jet-ski, and canoeing are some of the popular activities that guests can enjoy along the private beach of the Resort. There is also an outdoor tennis court and large swimming pool in the Resort. There is a beautiful golf course just 3Kms from the resort. There is also a special swimming pool for kids. The extra-long, king-size beds is one of the major reasons why this resort has become popular since it started in 2006. If you are searching the Internet for the best tropical holiday, the 5-star Dolphin-House Resort-SPA-Diving, White-beach Saavedra will be your best bet!